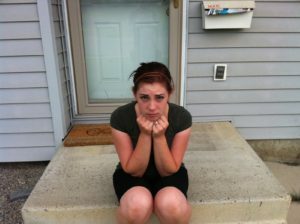 At times, people get locked out of their house. Most of the people think that this will not happen to them and they don’t get prepared for this emergency lockout situation. If you avoid taking the required preventive steps to keep safe from getting locked out of the house, then you might get in a big problem anytime. This might happen to you when you least expect. Well, you can break the patio glass or use a ladder to climb inside through the balcony, but trust me there are a lot better options to go for. What’s the Secret Behind ‘Not’ getting locked out?? Are you in the habit of leaving your door or window unlocked to avoid getting locked out of the house? Well, your answer must obviously be ‘no’ because your house might get attacked by some burglar. So, it is mandatory to carefully lock your house with no corner left unlocked. The basic idea to keep away from house lockout is to be ready with a duplicate key. You need to get certain about the thing that the key works properly at the time of emergency. In case you don’t have a spare duplicate set of keys then you need to call a professional locksmith for help. So, it is always suggested to keep an expert locksmith on call for emergencies like this. To be more secure with everything at your place, it is better to have a single key for all the locks in the house. Well, if you have different keys for all the doors in house then you can get it replaced with a single master key with the help of an expert locksmith. The other way to hide your key out of the house is that you can purchase a fake piece of rock and hide the key inside that. This will help you to keep away from home lockouts. These days, there are various options available through which you can prevent getting locked out of the house. You can call a locksmith for keyless entry to house or you can also get a duplicate key made by the expert!! So, if you want to handle the lockout emergencies with ease then it would be better to search for some dependable locksmith expert. This will allow you to live with a free mind with no worries about getting stuck with some lockout emergency.